The Flying Lotus-collaborator hunts for the best images like a beat-maker crate digging for records. Toronto-based artist Winston Hacking brings collage to a whole new level. It's why his surreal talent has been commissioned for music videos by Flying Lotus and Andy Shauf and why his visuals have amassed millions of views online. Hacking forages from old commercials and advertisements (a practice he likens to DJs searching through record crates) to create an entirely new piece of work. He likes the idea of bringing these advertisements "back to life from the dead." When he went to film school, Hacking was surrounded by friends making their own collages. "It was an accessible medium I could immediately jump into," he says. But collage is different for every artist — Hacking's signature style is abstract, psychedelic and sometimes jarring. "Usually there's something in people's poses in these advertisements - they're a bit stilted, and I'm trying to exploit that and exaggerate things," he explains. "Why shoot new things when there's so much content out there that you can re-use? They'll shoot a commercial for a million dollars and then it will go to the wayside. Well, there's more than one use for that thing." The way to distinguish yourself is in the source material, very much like beat-makers and crate digging. Often collaborating with his friend Andrew Zukerman (who is responsible for the sound in Hacking's most recent film Erodium Thunk), Hacking has made dozens of collaged GIFs in addition to his short films. And of course, humour is an inextricable part of Hacking's work. "My sense of humour is similar to someone who's between ages 8-17. It's silly," he laughs. And Hacking realizes that each viewer might take something different from his collage: "There's that nostalgia there. Everyone can find something of interest in these elaborate works filled with references." I don't think that I've grown up. My sense of humour is close to somebody who's 8–17. It's silly. 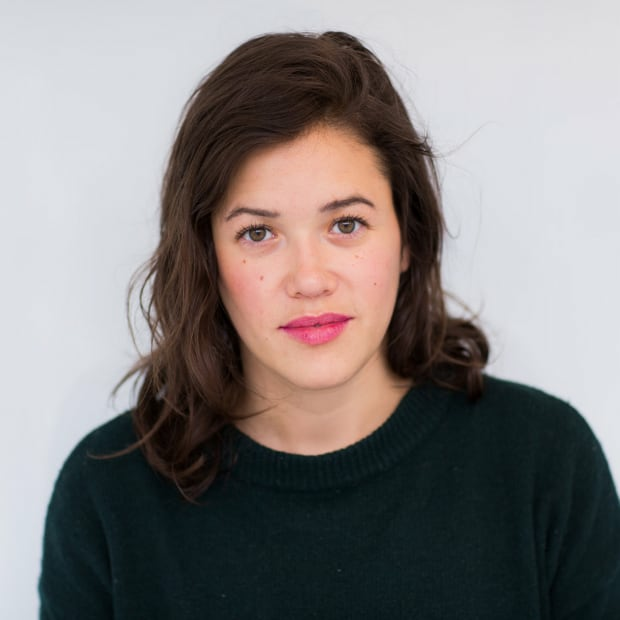 Vivian Belik is a filmmaker and programmer based in Whitehorse but also spending time in Winnipeg and Toronto. She co-directed the CBC documentary short, Underdog, and is currently producing the feature documentary, How To Bee.